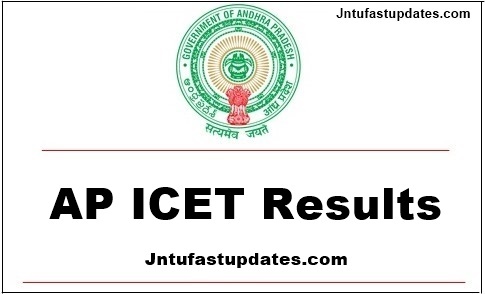 AP ICET Results 2018: Andhra Pradesh ICET Exam results with marks and score Released at official website sche.ap.gov.in. Students can download their AP ICET Result and Rank card from manabadi, schools9 websites. APICET-2018 is the Integrated Common Entrance Test for admission in to MBA and MCA regular Courses offered by State Universities and Professional Colleges under the Jurisdiction of A.P State Council of Higher Education for the academic year 2018-19. The AP ICET-2018 will be conducted by computer based Test on 02-05-2018 by by sri venkateswara university on behalf of APSCHE. The Office of the Convener, AP ICET-2018 is located in sri venkateswara university Campus. Eligible candidates may apply online and log on www.sche.ap.gov.in/icet for further information. Andhra Pradesh Integrated Common Entrance Test (APICET-2018) for the year 2018 will be conducted by sri venkateswara university in accordance with G.O.Ms.No.25 Higher Education Dept dt: 19-03-2004 & amendments, for admissions into first year MBA and MCA courses offered in Universities and Professional colleges in Andhra Pradesh for the academic year 2018-18. Eligible candidates who wish to apply for APICET-2018 may submit their applications through online mode. The Registration fee of Rs.350/– may be paid towards the application registration and processing fee through A.P .online centres or through Payment gateway (Credit card / Debit card/ Net banking). The detailed information regarding the eligibility, syllabus and model Question paper, Test centres, related instructions and procedures for online Submission of Applications are available on the websites sche.ap.gov.in. Merit rank obtained in AP ICET-2018 is valid for admission in the academic year 2018-19 in the colleges located in the state of Andhra Pradesh. All disputes arising out of any matter concerning APICET-2018 shall be subject to the jurisdiction of High Court of TS & AP only. In such disputes, only the Convener, AP ICET- 2018 and the Secretary, APSCHE can be impleaded as respondents. The candidates who have secured 25% qualifying marks in AP ICET [ 50 out of 200 ] and candidates belonging to the category of SC and ST to whom qualifying marks have not been prescribed, shall be assigned the rank in the order of the merit on the basis of marks obtained in ICET. How To Check AP ICET Results 2018 and Score Card? 1.3 How To Check AP ICET Results 2018 and Score Card? When i searched my result, its shown as Invalid hall ticket number. Hall No: 8249010269. Sir can u tell the Num of total Members applied for AP-Icet? where we are see results in this site,, ur site make me a fools stupids only this site shows ads.